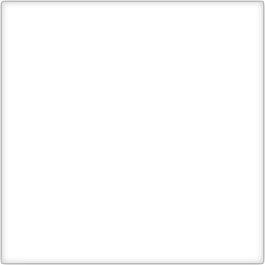 Welcome to Lucky Paws Pet Grooming! 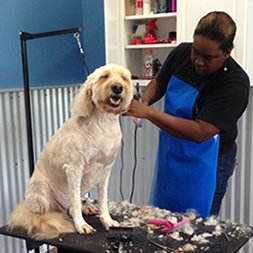 In addition to our boarding and daycare services, Lucky Paws also offers a full service grooming studio for your cat or dog! 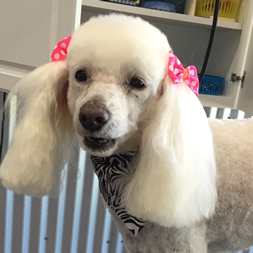 Our experienced and talented grooming staff here in Clayton, NC provide a wide range of services from trimming, styling, and deshedding, to medicated oatmeal baths and skin rejuvenation, all while making your pet comfortable and relaxed. We like to think of it more as a cat and dog day spa! 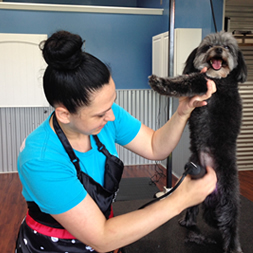 You are welcome to schedule a day to get your pet groomed, or enjoy the convenience of your cat or dog being groomed while they are here for boarding or daycare. 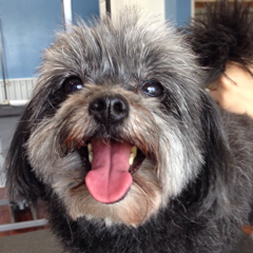 We look forward to pampering your pup or kitty!